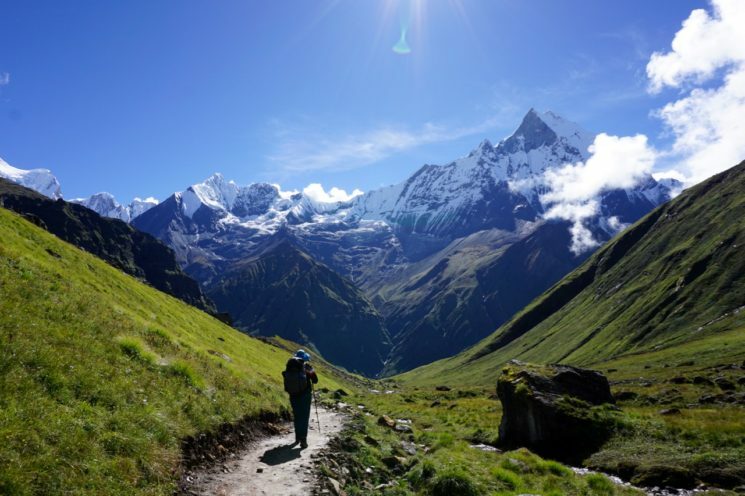 “This fall I trekked to Annapurna Base Camp in Nepal. I live at sea level in Vancouver, BC and I do most of my hiking in my local mountains, which top out around 2000m (6500 feet). I knew that hiking in the Himalayas at over 4000m (13000 feet) was going to be a challenge. Everyone knows it is important to stay hydrated when hiking. 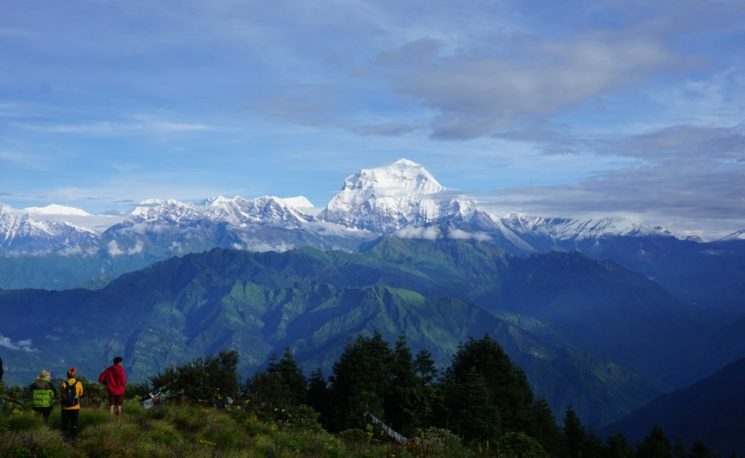 But once I started hiking in the high Himalayas, I found that it can be quite hard at altitudes over 2400m (8000 feet). The air up there is drier and has lower air pressure. This means that moisture evaporates quickly from your skin and lungs, drying you out. As well, the lack of oxygen makes you breath faster and deeper, and with every breath, you expel precious water. (And you end up huffing and puffing up every hill, even if you are in great shape!) At elevation, you simply have to drink more water than usual to stay hydrated, usually about 1 to 2 liters per day more than usual. Simply being at altitude also stresses your body in other ways: you are at risk of altitude sickness, which is often mild but can also be life threatening. Frighteningly, some of the early symptoms of altitude sickness can be very similar to the symptoms of dehydration, including dizziness, headache, feeling weak. 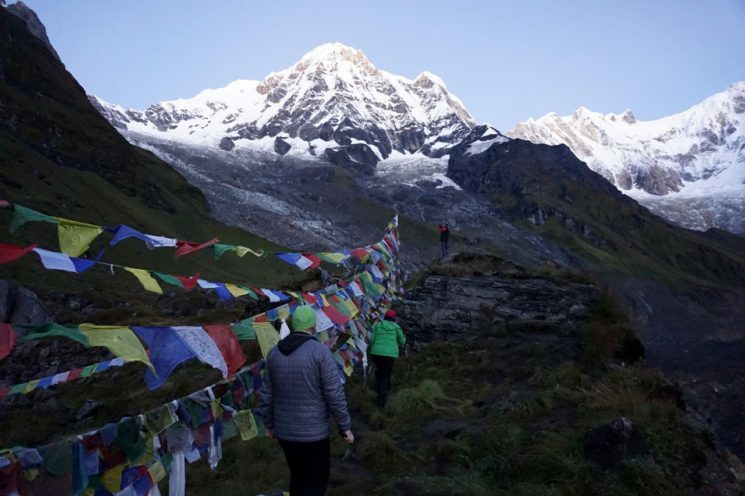 On the way to Annapurna Base Camp our guide kept reminding us to stay hydrated so we would be able to tell if we had altitude sickness symptoms that need to be addressed instead of wondering if we were just dehydrated. So if you are hiking or trekking at high elevations, you just can’t win: the universe is conspiring against you to make you dehydrated! That’s why it is so important to drink lots and drink often. The easiest way to do this is to carry a water container that is easy to drink from. I like to use a hydration reservoir so that I don’t have to stop and fumble with bottles to get a drink. 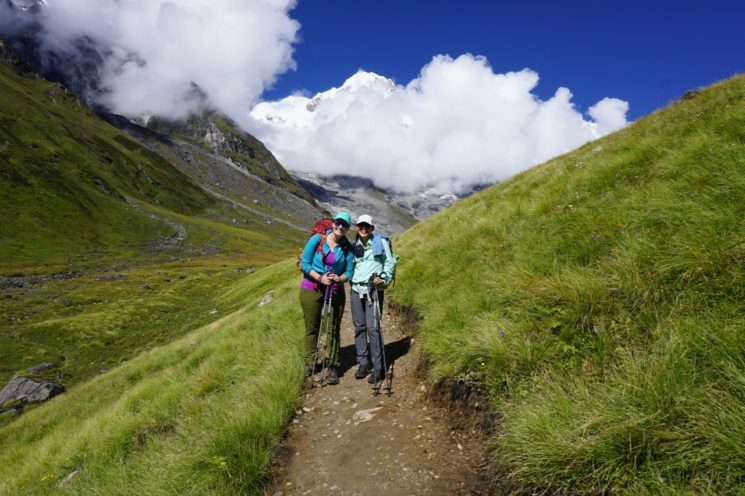 Whether you are hiking at high elevations in the Rocky Mountains or trekking in the Himalayas, you probably won’t be able to carry all the water you need so you will need to refill your water containers along the way. I have a weak stomach and live in fear of getting sick, so I always treat my water. I choose hydration reservoirs with a wide opening so they are easy to refill. The wide opening also makes it easy to treat water by adding water purification drops, inserting a UV light filter or the hose from a pump style water filter. In Nepal, I used a UV light filter, but I hear that Source makes a hydration hose with an inline Sawyer filter. I’m excited to try that one my next trip. Taryn’s home is in Vancouver but her heart is in the great outdoors. 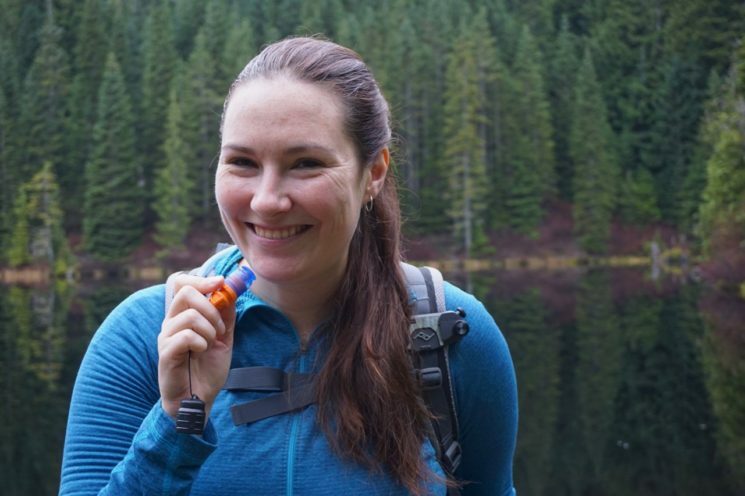 Her first ever backpacking trip was a 5-day blitz of the West Coast Trail over a decade ago and she’s been hooked on hiking ever since. You can find her on the trails of Vancouver’s North Shore on weeknights and somewhere in the backcountry of Southwestern B.C. on weekends. Keep up with Taryn’s adventures on her blog, HappiestOutdoors.ca and on Twitter, Facebook and Instagram.